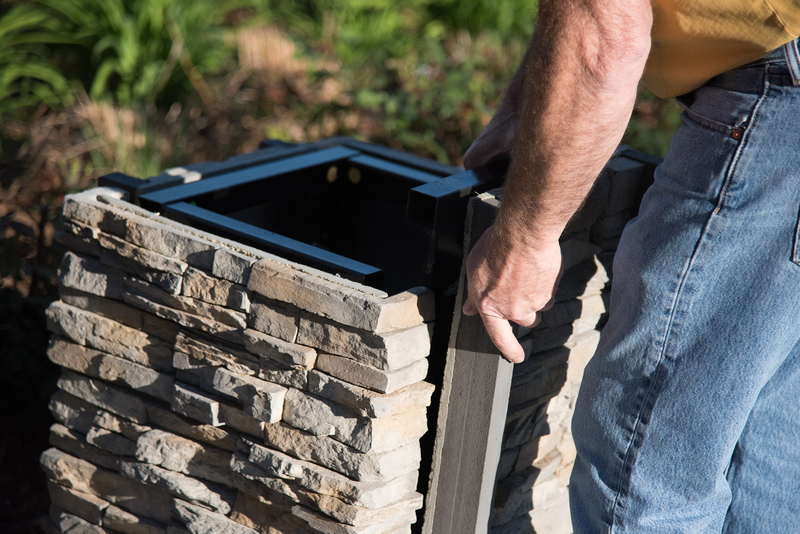 QuarryView end table cap seating features brilliant stone pedestal end table bases that serve as support for the Ipe 4x4 seating surface. 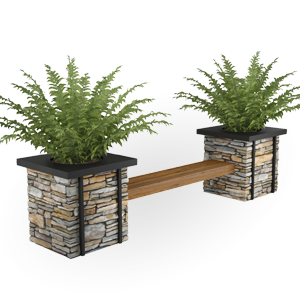 Each pedestal consists of four separate panels using hand laid courses of thin veneer which are bonded to a powder coated light weight steel frame. 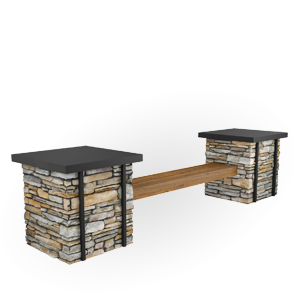 Choose configuration by assembling your modular seating using QuarryView's unique naming structure; specify seat length in inches; choose stone; and accent color. 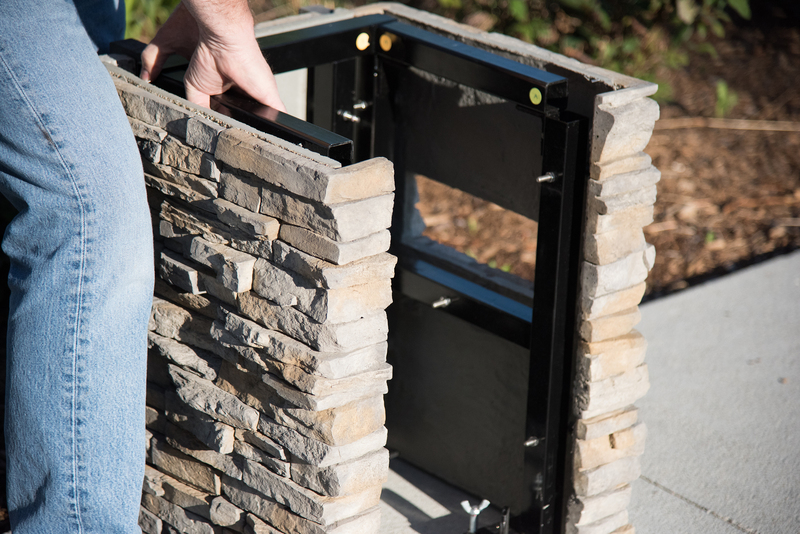 In addition, SiteScapes will not be held liable for ANY damage or injury as a result of product that is not permanently anchored in place or not anchored properly.